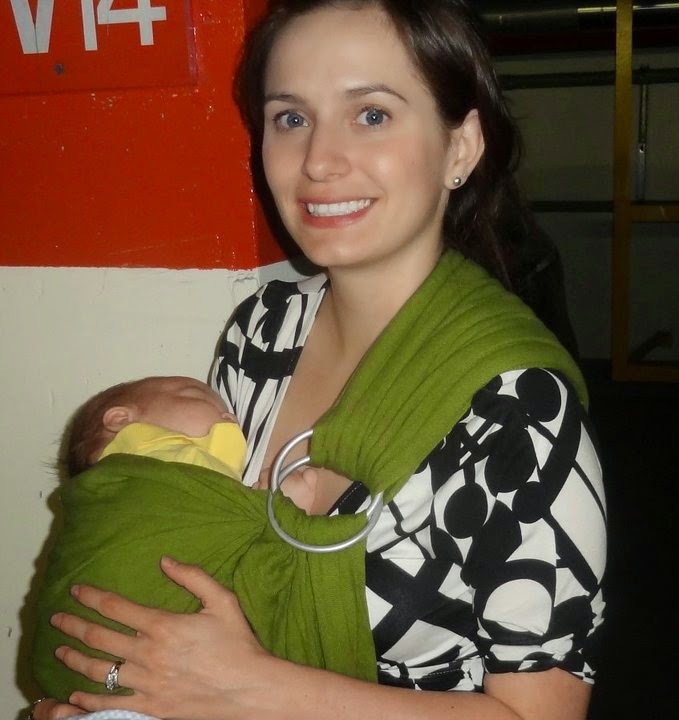 I spent hours of time researching ring slings when I was pregnant with my oldest son. I ended up purchasing a padded shoulder Maya Ring Sling in olive green colour. I wore him as an infant in this to many places including on hikes, and to my sister's graduation ceremony. I always found it comfortable when I wore him in the tummy-to-tummy position with his legs froggied as a newborn. As he got bigger, I used this for hip carries and going in and out of the car for errands. I had never tried a different shoulder at the time, and loved the padding of this shoulder. I comfortably carried my son for short distances in this until he was around two years old. When my second son was born, he would not keep a seat in a ring sling, so I could not use this with him as a newborn (the beginning signs of leg-straighten-eritis). I have used it as my car carrier with him since around six months old, for short trips. I have had a chance to try many shoulder styles now, and I still like the padding. Pros: Affordable and available widely. Many colours to choose from. Cons: The padding will sometimes creep its way up to your neck if you aren't careful about adjusting. The fabric of mine is thicker and sometimes is difficult to keep straight in the rings. This might be easier with fabrics that have different colour rails. Recommendation: I would recommend this as a starter ring sling to anyone for short trips for larger babies and as a great starter carrier for newborns.